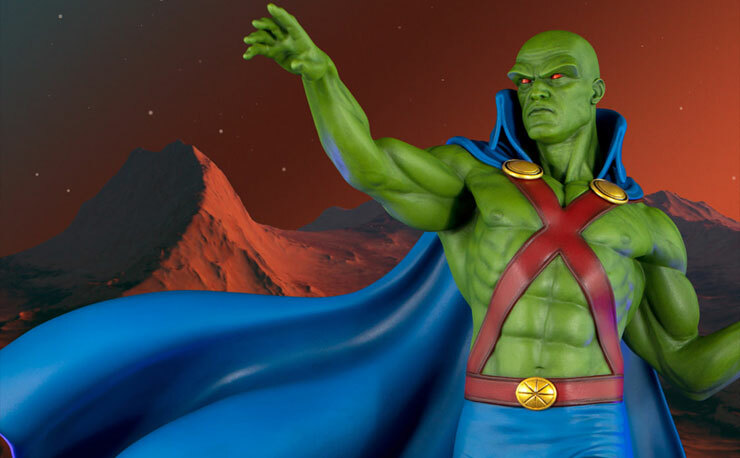 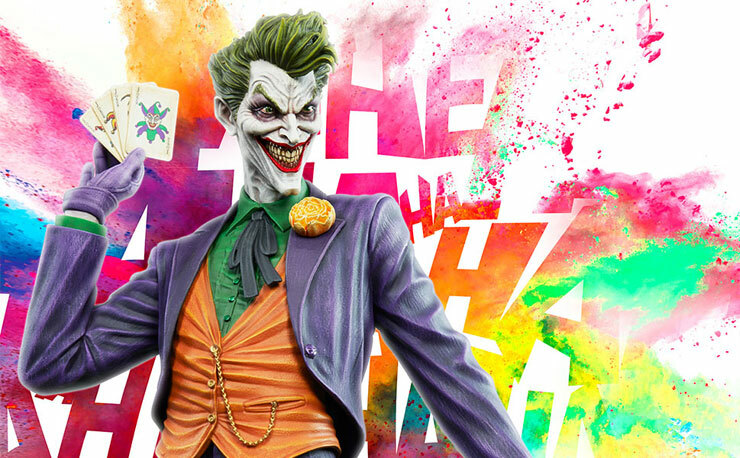 Tweeterhead is paying tribute to The Clown Prince of Crime in classic style with The Joker Maquette from the DC Comics “Super Powers Collection”. 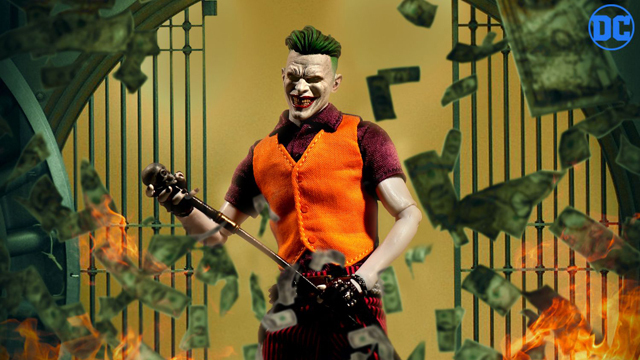 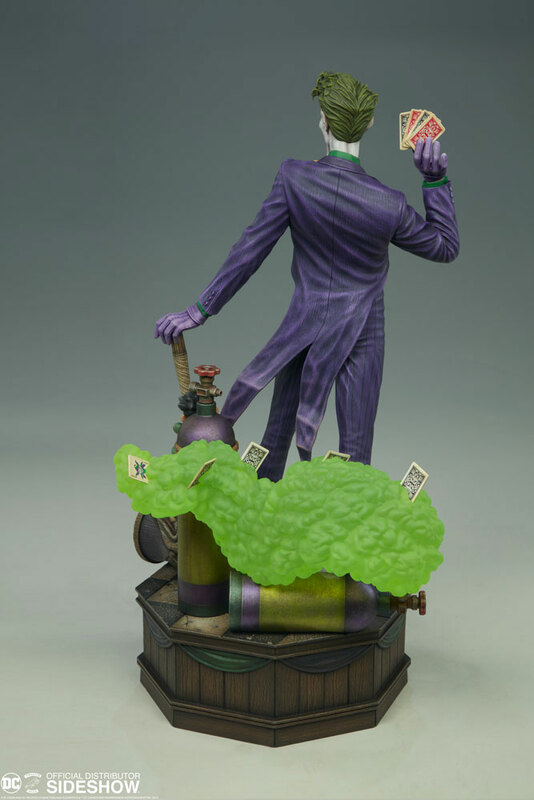 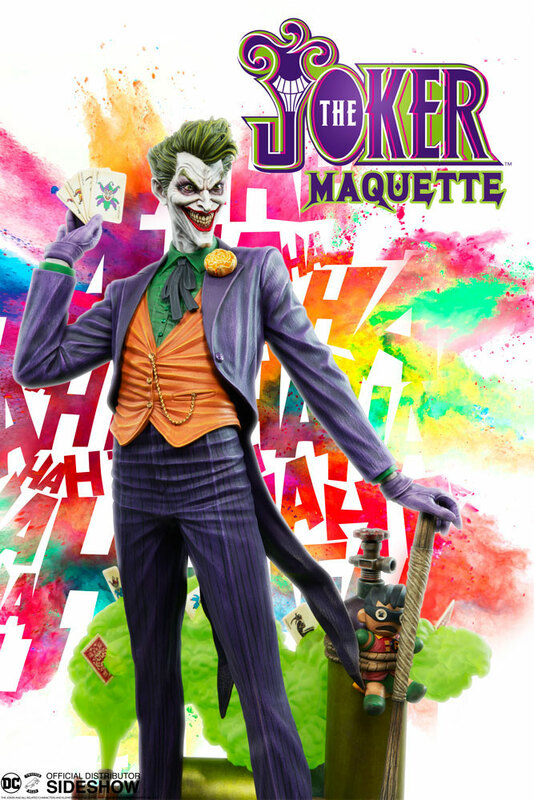 Standing at 15-inches tall, with a deck of cards in-hand and a sinister smile, this new Joker maquette also features a jumbo Joker mallet in his other hand, with a Robin doll all tied-up, along with green gas floating in the background and playing cards scattered all over the ground beneath him. 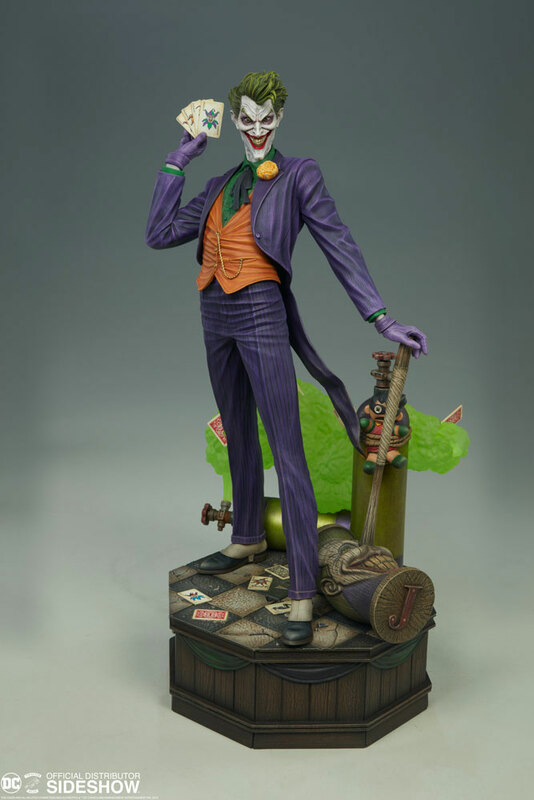 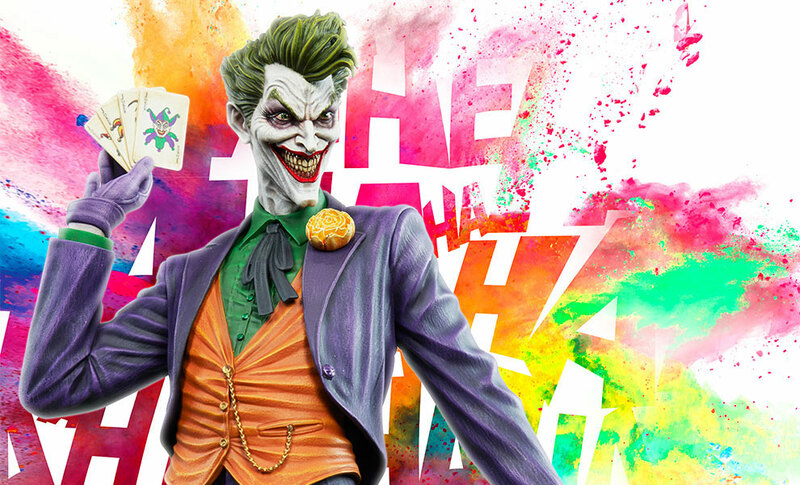 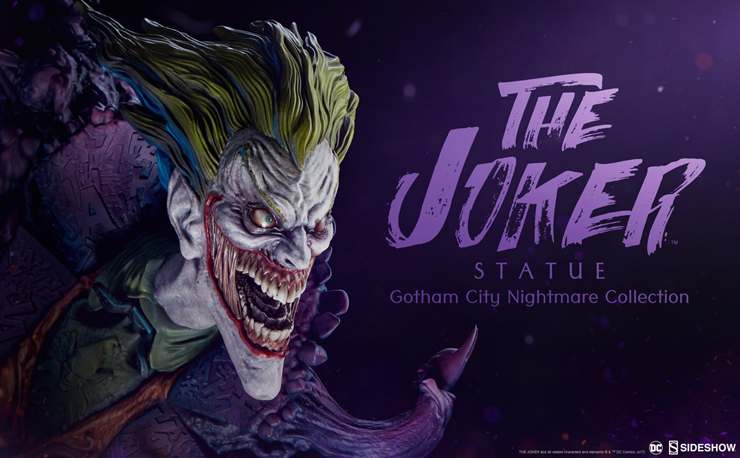 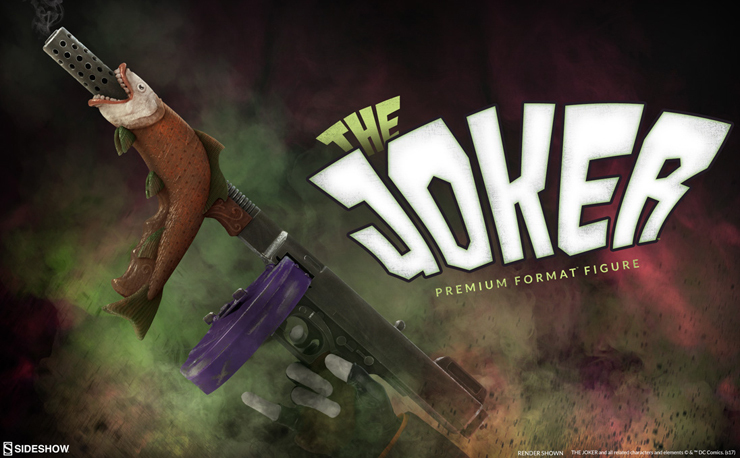 Pre-order The Joker Maquette now for delivery in early 2018.